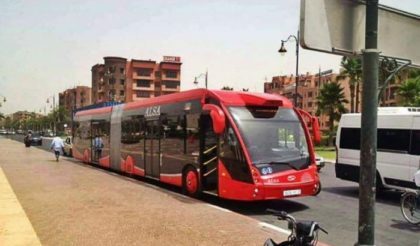 The city of Marrakech is undertaking a pioneering experience at the national level by introducing electrical busses to replace diesel ones in a bid to reduce pollution, noise and enhance urban transportation. After a delay of a year in launching the E-busses, tests are ongoing with the goal of officially operating the busses by the end of September, Marrkaech City Council explained. The launch of the E-busses was scheduled in November 2016 in Marrakech to coincide with the organization of the UN Climate-Summit in the city, which played a key role in sensitizing and pushing decision makers towards environment-friendly alternatives. According to the City Council, this urban transportation, worth 240 million dirhams, was delayed for multiple reasons, among which the need to conduct further studies and train drivers. It is expected that other cities will follow suit in line with Morocco’s environmental commitments and its regional leadership in renewable energies. The establishment of a plant to produce such buses will be conducive to the generalization of the use of electrical busses across the Kingdom. Last year in July, Chinese carmaker Yang Tze said it would establish a factory to produce electrical cars and busses near Tangier for a total investment of 1 billion dirhams ($101.6 million).